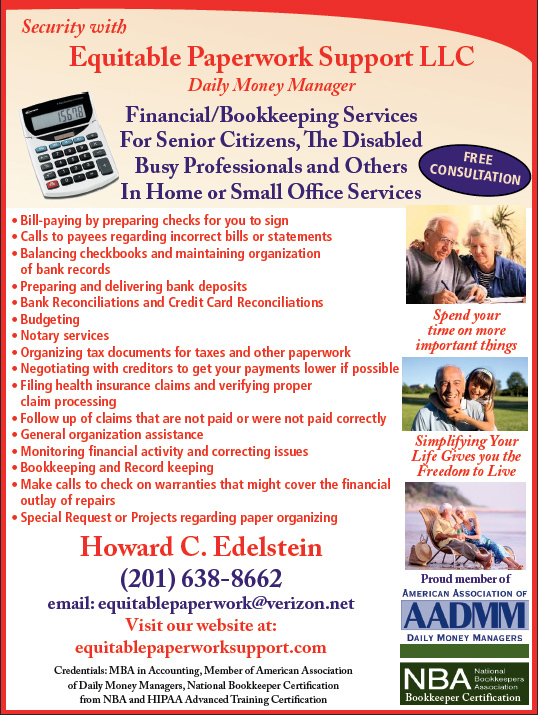 Bookkeeping and Daily Money Management Services in the New Jersey Area | Small Business Bookkeeping implementing QuickBooks or accounting/bookkeeping software specifically for your business. Daily Money Manager services including bill paying, financial maintenance, health insurance follow-up and paperwork support. These health insurance claim forms are confusing. A Daily Money Manager can fill out these forms for you. As a small business owner, you require an optimal amount of time to apply to business matters at hand, and not to be tied down with bookkeeping. Every hour you spend on bookkeeping, takes away from an hour needed to apply to the success and growth of your business. Through the use of QuickBooks, you can monitor your financial activity with just a few clicks. Whether it be financial statements, comparative income statements and balance sheets, accounts receivable agings, analysis by vendors, customers, expenses and more, you can be on top of all business matters. 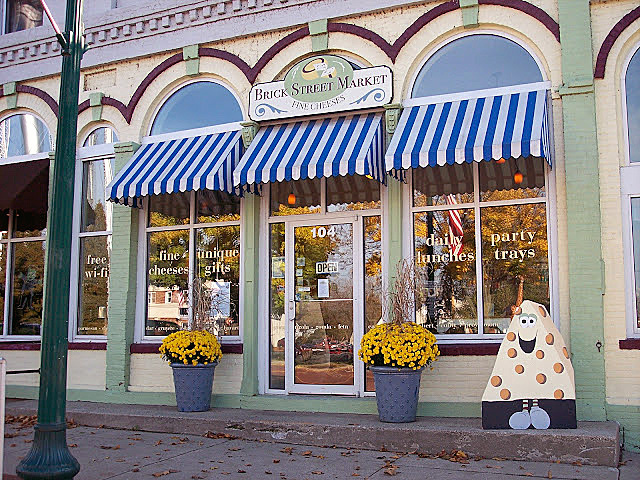 QuickBooks will present you with the overall picture of your business. I can show you the strong areas of your business as well as the sectors that need your attention. No matter which business software you have, I can bring you up to date and maintain your financial information through my bookkeeping and accounting services. 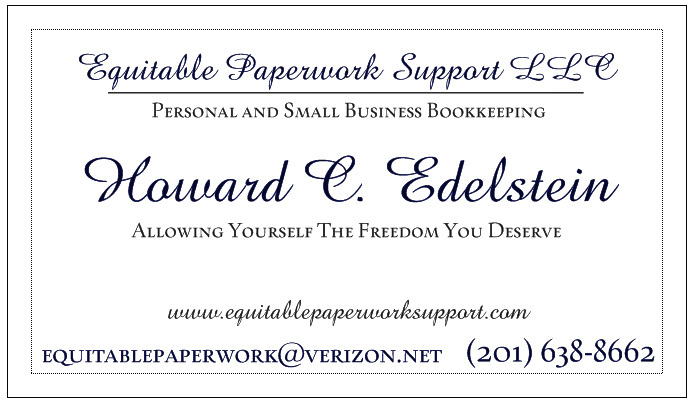 My current bookkeeping clients consist of small businesses in various industries throughout New Jersey. They include retail, wholesale, service industries, dental offices, management companies and others. 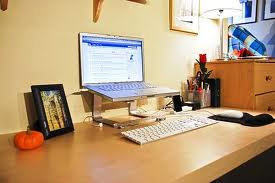 My services range from bookkeeping setup to monthly maintenance. Some businesses require a full spectrum of services through preparation of financial statements. Other businesses require a specific focus on areas such as invoicing and bill paying. The services I provide are based on specific business characteristics. Do you have stacks of bills, insurance claims, statements or other paperwork that needs to be organized, paid or followed up? Maybe you are all alone and find all this paperwork overwhelming and don’t know where to start. You have bank statements to reconcile, bills to pay, a checkbook to balance, deposits to make and really could use help. You could be a senior citizen and would like help paying those bills and making deposits, or you have mail that needs to be gone through and organized. Wouldn’t you like that burden taken off your shoulders and put on mine instead? Maybe you have a busy career which makes it difficult for you to find time for your own personal paperwork. Another situation could be that you are physically limited and your life could be made easier if you have someone’s help with daily paperwork. 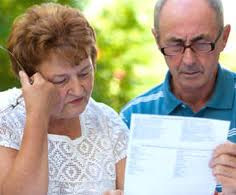 Sometimes an adult child will take care of an older relative such as a parent, and that child does not have time to accomplish both their parent’s paperwork and their own. Maybe the adult child might not live close to the parent. I can help fill that gap as well by helping the parent or parents of the adult child. I can provide assistance with many tasks that will allow you to have a more optimal use of your time. 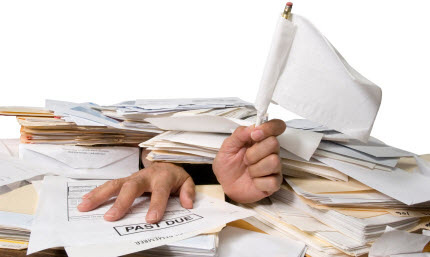 Wouldn’t it be nice to clear your desk by taking care of all this paperwork? As a Daily Money Manager, I can provide personal assistance to people who find it hard to manage the personal monetary part of their life. I can fill your personal needs from one extreme to the other, from organizing and keeping track of financial and medical insurance papers, auto insurance papers, as well as assist you with check writing, maintaining bank accounts through bank reconciliations and daily maintenance. I can make sure you have enough money in your account to cover bills. By setting up a schedule that is convenient for you, I can help you on a periodic basis in order for you not to have any past due bills or late paperwork filings. I can make up deposits for you. I can check your bills and make sure they are correct and you are not erroneously charged. If so, I will be on the phone on your behalf to straighten things out. The same for insurance claims. I will follow up with insurance companies to make sure you receive what you have coming to you. Also, there are times that you need to gather documents for taxes, a lawyer, etc. I can help you get together those appropriate documents.